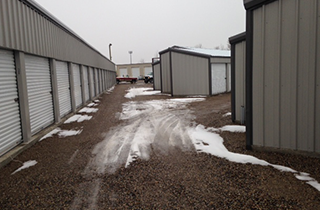 For the safest secured storage in Blackfoot, ID, come to the storage experts at Blackfoot Secure Storage today! We now have 24 hr night and day video surveillance 7 days a week! For the most secure, safe, and cost effective self storage, visit the experts at Blackfoot Secure Storage today! We work around the clock to make sure your things are safe and secure! 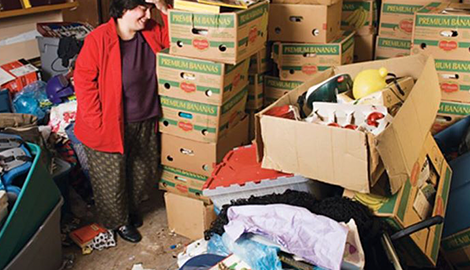 We offer you secure storage at the most affordable rates in the area! We have recently installed high definition cameras in the premises as well as an electronic gate! Please let us know if you need boxes a week in advance and we can get those for you. Secured stainless steel padlocks available for only $12.00! Order boxes at least 1 week in advance for all of your moving needs! We also carry high grade U-HAUL locks for only $12. 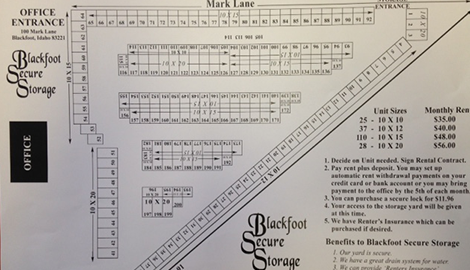 Blackfoot Secure Storage is the premier storage facility in the Blackfoot, ID, area! We offer you the best service when it comes to keeping your personal belongings safe and secure. Our staff will work with you to ensure that you get the best deal possible that meets your needs for your situation. At Blackfoot Secure Storage, we do not want you to worry about your valuable personal belongings while that are stored at our facility. We have installed high-quality outdoor lighting so your valuables are safe with us day or night. We also offer high-technology video surveillance throughout our storage unit area for the added security that give you extra peace of mind! At Blackfoot Secure Storage, our storage units are clean, efficient, and safe so that you can place your valuables there without stress and worry. We are the secure storage facility you can put your trust and confidence in today! Our staff at Blackfoot Secure Storage in Blackfoot, ID, is trustworthy, friendly, and dependable. We are customer-oriented and are not satisfied and happy unless you are. Our staff works with you to ensure that you are confident in the secure storage plan we set up for you. 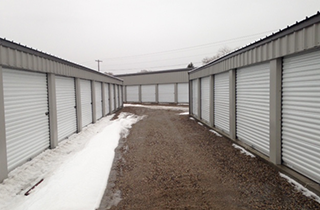 At Blackfoot Secure Storage, we offer the most affordable rates for storage unit rental in the Blackfoot, ID, area! We want to help you safely store your personal belongings and valuables, not break your budget! Our facility is the storage center that you can depend upon to take excellent care of you and your personal belongings! 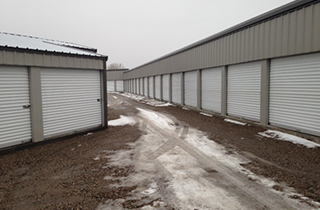 In the year since we opened our doors, we have provided excellent service to all people who have needed secured storage units in Blackfoot, ID! Customer satisfaction is our top priority so we strive to ensure that you are happy and satisfied with the service you receive from our staff and the awesome storage unit we provide you with! Your peace of mind also puts our minds at ease! For the best in secure storage, come to the storage rental experts at Blackfoot Secure Storage today!